Wow! Did I get lucky! I went to get my oil changed this week, and I always take my car to a place that's near one of my favorite local nurseries. I usually walk over there to check to see what they have on sale while my car is being worked on. Well yesterday when I went there I found a Peony 'Coral Sunset' that had an orange sale sticker on it, and all of their sale items were 50% off. The original price was $24.99. So that made it only $12.50! 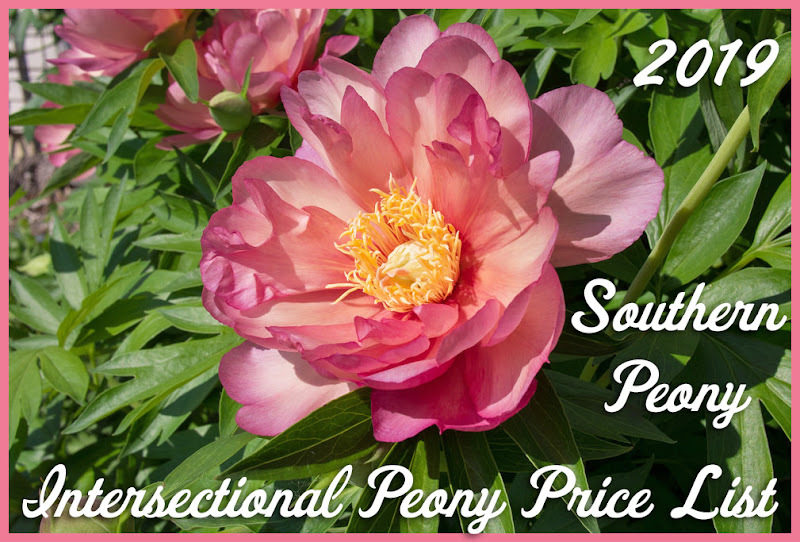 Yes, I already have Peony 'Coral Sunset', but who could resist another one for 50% off? So of course I bought it, and I got it planted today. So keep your eyes open when shopping at your local nurseries. They may have some peonies from last year's stock on sale! 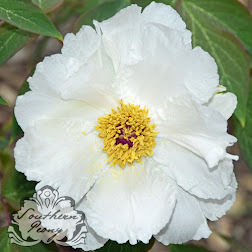 Since this Peony 'Coral Sunset' was growing in a pot, I actually planted it more shallow in the ground than it was growing in the pot, as evidenced by the whitish color at the base of the stems. 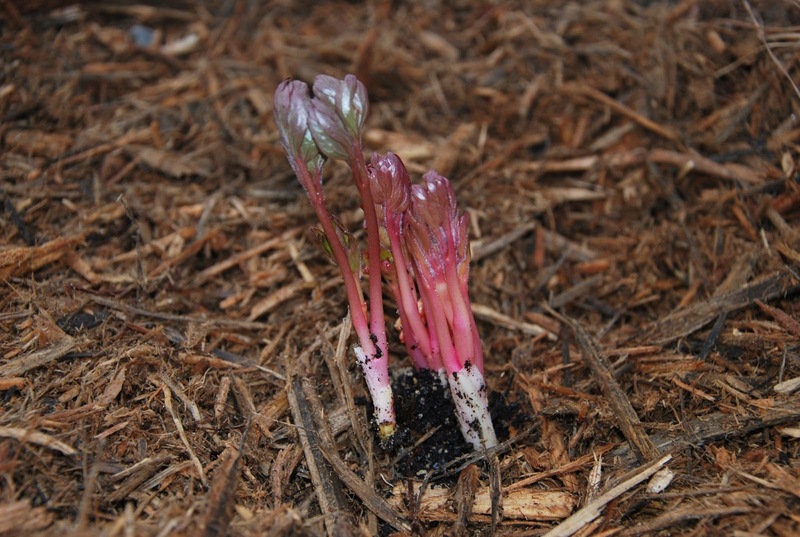 This portion of the stem was previously under the soil when it was growing in the pot, but due to our climate here, I knocked off a bit of the soil from the top of the peony root, and planted the roots close to the surface. 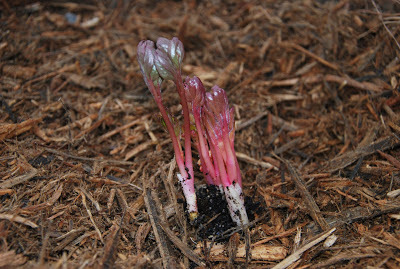 This way the peony roots will get the chilling hours required to generate bloom here. 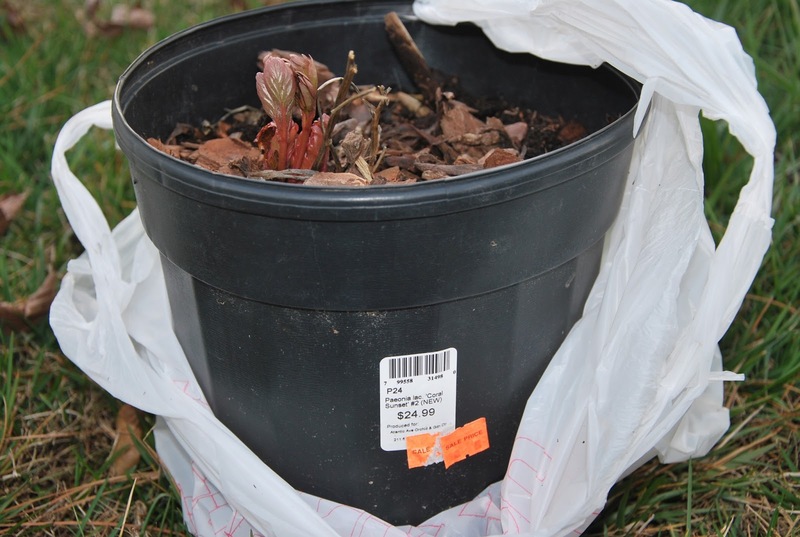 2013 Springtime Peonies are Coming!